TPB Bank PLC seeks to appoint dedicated, self-motivated and highly organized Business Solution Officer Officer (1 position) to join the Directorate of Technology and Operations team. The work station is Dar es Salaam. 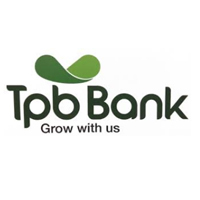 TPB Bank PLC seeks to appoint dedicated, self-motivated and highly organized E-Banking Officer (1 position) to join the Directorate of Technology and Operations team. The work station is Dar es Salaam.